Want to know how to become rich the easy way? It's simple! Just adopt some cute critters who love to make you gold! Just make sure you give them a good place to live, like a musky old crypt, or a ~haunted~ forest. Tap your way to collect gold to become the richest crypt keeper of the land in this clicker game! Can you outtap the undead? Tap, tap, tap to scavenge for food. Rescue survivors and rebuild your city in this zombie idle game! Hail, Adventurer! The dragons have disappeared from the mystic forest. Help some fairies summon new dragons in this adorably, cute clicker game! Do you love dogs but hate doing homework? 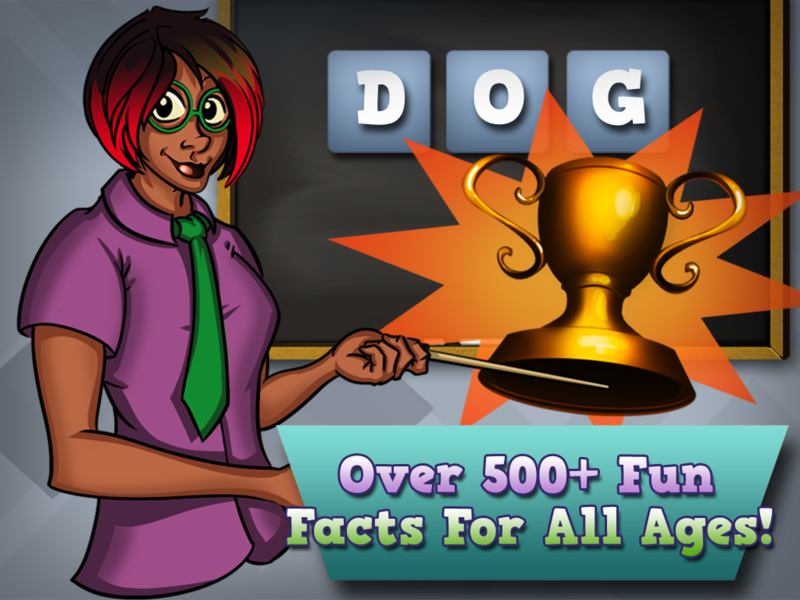 Let your furry canine friends do all the homework for you! 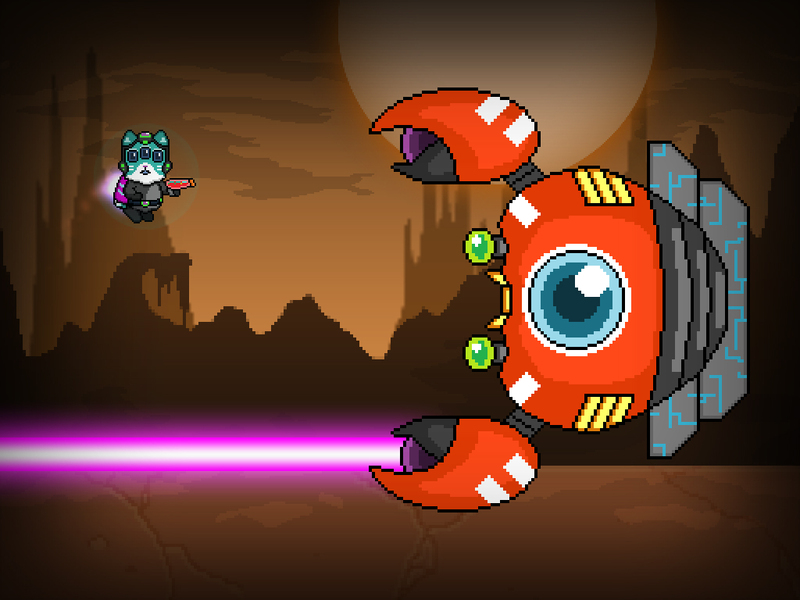 Score millions of A+’s without even lifting a pencil in this all new clicker game! Ms. Alma Triv-E's Puzzle Shuffle Trivia is a word guessing game for players of all ages! Players are challenged to solve a puzzle by guessing what the secret word is from a pool of letters and some helpful hints from Ms. Alma herself. Perfect for young kids and trivia enthusiasts! 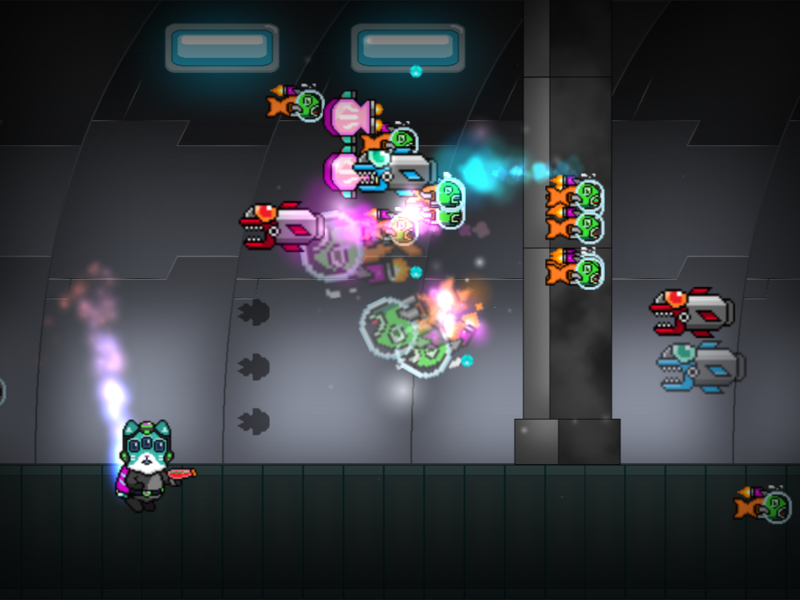 Fast-paced, snake-jumping action! 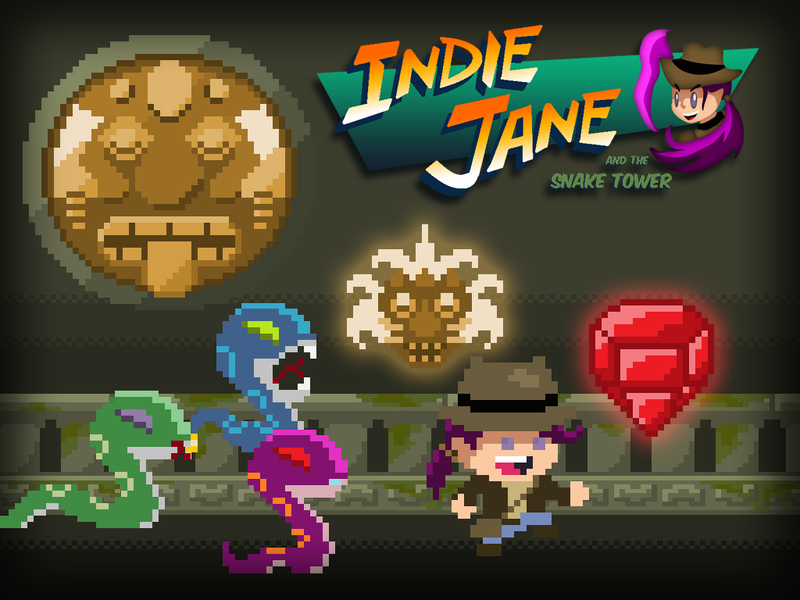 Collect rubies as you climb up the perilous Snake Tower, guarded by tons and tons of SNAKES!! 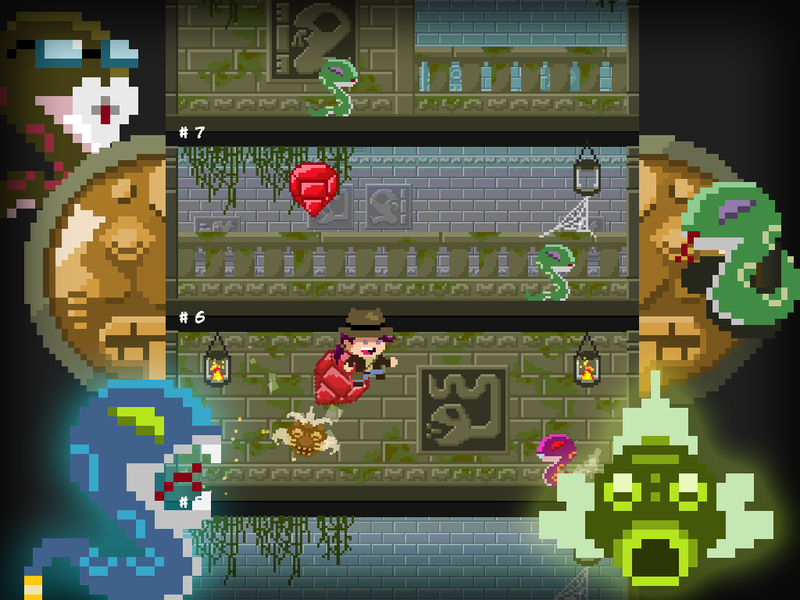 Unlock magical relics with spectacular powers that can even save your life! So what are you waiting for? Start jumping snakes! Love dogs but hate doing homework? Let your dogs do all your homework for you! 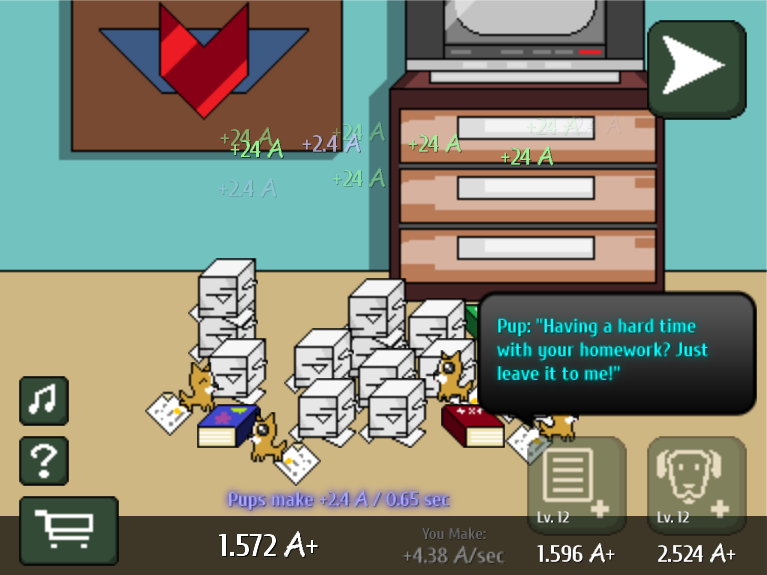 Score millions of A+’s without even lifting a pencil in this all new idle game. You'll be an A+ student in no time! 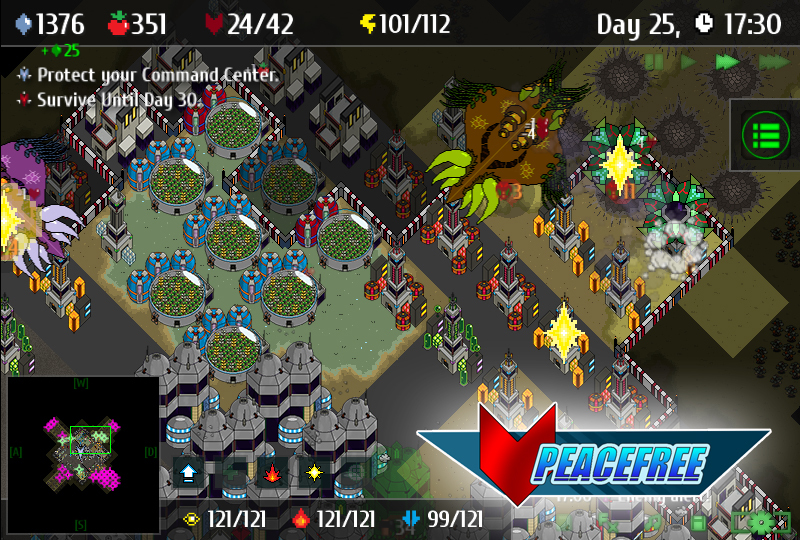 Peacefree: Intergalactic Liberation Army is an earlier version of Peacefree. 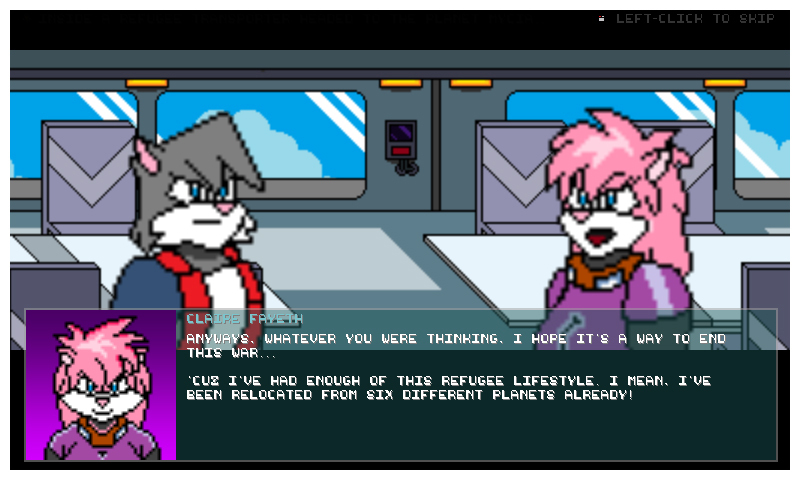 The story revolves around Lineus Vurr, a catlike creature called a Feleon, whose planet was just enslaved by the evil Virpuris. Having nowhere else to go, Lineus meets the mysterious Claire Fayeth, a foxlike Vulfaine, and Gram Haverschine, a big gray mouse-man called a Micium, who recruits him to become part of the liberation army Peacefree.